Aquatics - Welcome to Burke Racquet & Swim Club! BRSC has Something for Everyone in the water, too! Learning to swim is a valuable skill to learn and one that lasts a lifetime. 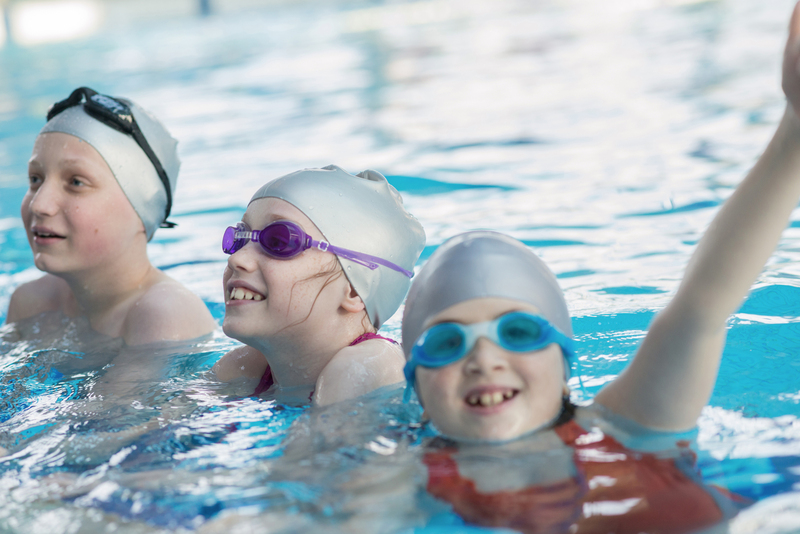 From beginner and intermediate lessons to seasoned and competitive swimmers, you and your family will find the right fit for your needs here at our club. For questions about lessons, please contact Aquatics Director, Kim Spina at 703-250-1299 or email her at kspina@nationscapitalswimming.com. BRSC has a 25-yard by 25 meter, 196,000 gallon pool. It slopes from 3’ to 5’ of depth. Normal configuration of the pool yields 11 lap lanes and one walking lane. Instructional and competitive programming will restrict available lanes, depending on the day of the week and season. Normally, a minimum of two lanes is available. Importantly, for member planning, our pool is fully closed Monday–Friday from 3:30–7pm for swim programs.